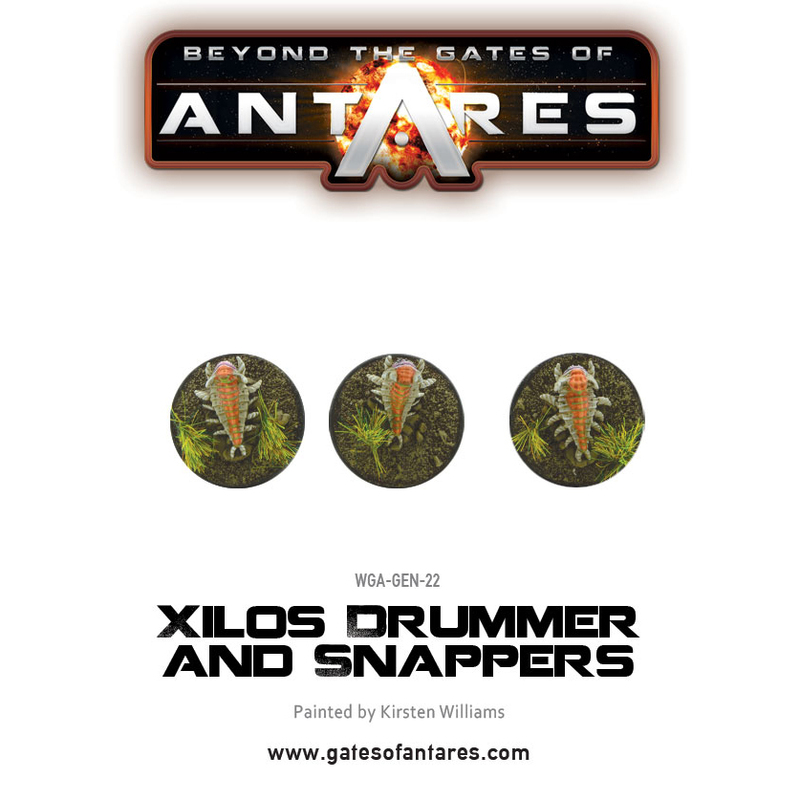 HomeWarlord GamesBeyond the Gates of AntaresNew: The Battle for Xilos – the 1st Antares Supplement! 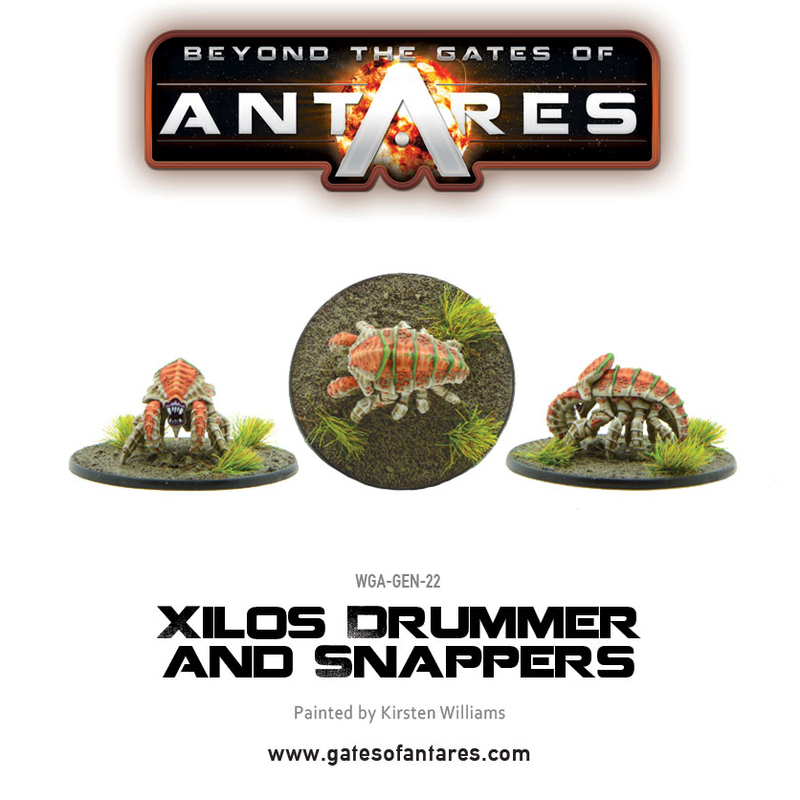 Preparation for the online Gates of Antares campaign is moving into overdrive as we prepare for imminent arrival of the first narrative supplement book – The Battle for Xilos – available to Order from Warlord Games today! Once again penned by game author Rick Priestley, the Battle For Xilos continues the events from the main rulebook – triggered by the discovery of the planet of Xilos. 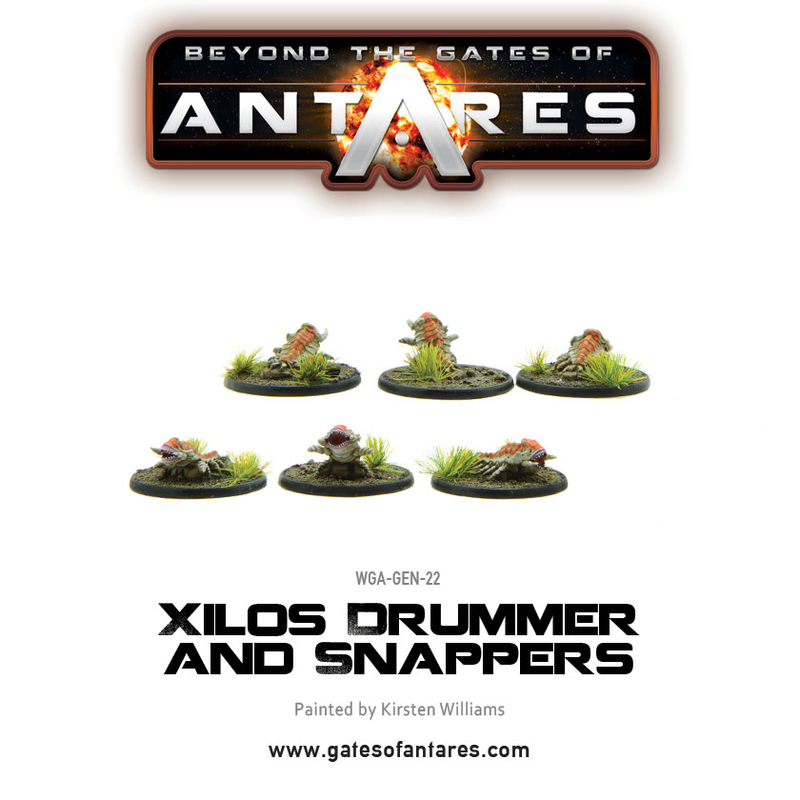 The book describes, in the form of an exciting and continuing narrative, the struggle for control of the planet and the ancient builder tech hidden beneath its surface – and includes a campaign system featuring a series of scenarios which cover the different stages of the battle for Xilos, from the initial landings to… well, we’ll come onto that… with a cool system for gathering campaign victory points and fielding some of the strange builder tech artefacts that your forces will capture along the way! Battle for Xilos also includes a whole raft of new content – including rules for including allies and mercenaries in your force as well as new army lists for the Ghar Outcast Rebels, and the mercenary forces of the Freeborn Adventurers and Boromite Clans, not to mention a host of special characters, new troop types, new weapons and vehicles, and some rather scary native creatures (read on to discover the first sightings available now!). ‘The Battle for Xilos – The Builders Awake’ continues the narrative featured in the Xilos Horizon Starter set, and the launch is supported by a massive multi-player online campaign in conjunction with our friends at Beasts of War. What’s more – the online campaign will give you the chance to shape the history of the Antares universe (more about this to come soon, keep an eye on the Tuesday IMTel newsletter!). Naturally Warlord Games will be bringing out a whole raft of models so you can field all these new recruits and enemies on your battlefields! You can spot a few of them in the pictures below… the book sees new characters, weapons, troop types, vehicles and weapons for all factions. It’s no exaggeration to say that this will take the Antares universe to a whole new level this June 2016! Snappers are fairly small arthropods that live in great numbers both in the jungles and amongst the ruins of Xilos. The explorers dub these creatures ‘snappers’ because of the snap-snap-snapping noise they make as they scuttle about in search of food. Snappers are communal animals that live in burrows in the ground, amongst leaf litter, and sometimes within the rotting carcasses of the world’s tree-like ﬂora. They are common in the Builder ruins where they dig amongst the debris and prey upon other small animals as well as scavenging the carcasses of larger creatures. Drummers are large, solitary arthropod predators, one of the most deadly creatures of the Xilos jungles. The explorers dub these powerful hunters ‘Drummers’ because the noise they make when they attack is like a staccato of drum beats. Whilst Drummers are essentially creatures of the jungles they can also be found deep in the subterranean ruins, where they squeeze along the passages made by smaller creatures such as Snappers.